Milk is a nutrient-rich, white liquid food produced by the mammary glands of mammals. It is the primary source of nutrition for infant mammals before they are able to digest other types of food. Early-lactation milk contains colostrum, which carries the mother's antibodies to its young and can reduce the risk of many diseases. It contains many other nutrients including protein and lactose. Interspecies consumption of milk is not uncommon, particularly among humans, many of whom consume the milk of other mammals. Brucella is a genus of Gram-negative bacteria, named after David Bruce (1855–1931). They are small, nonencapsulated, nonmotile, facultatively intracellular coccobacilli. A parasitic plant is a plant that derives some or all of its nutritional requirement from another living plant. They make up about 1% of angiosperms and are in almost every biome in the world. All parasitic plants have modified roots, called haustoria, which penetrates the host plants, connecting them to the conductive system – either the xylem, the phloem, or both. For example, plants like Striga or Rhinanthus connect only to the xylem, via xylem bridges (xylem-feeding). Alternately, plants like Cuscuta and Orobanche connect only to the phloem of the host (phloem-feeding). This provides them with the ability to extract water and nutrients from the host. Parasitic plants are classified depending on where the parasitic plant latches onto the host and the amount of nutrients it requires. Some parasitic plants are able to locate their host plants by detecting chemicals in the air or soil given off by host shoots or roots, respectively. About 4,500 species of parasitic plant in approximately 20 families of flowering plants are known. Arthralgia literally means joint pain. Specifically, arthralgia is a symptom of injury, infection, illness, or an allergic reaction to medication. Spondylodiscitis is a combination of discitis and spondylitis, the latter generally involving the areas adjacent to the intervertebral disc space. Sacroiliitis (say-kroe-il-e-I-tus) is a medical condition caused by any inflammation within one, or both, of the sacroiliac joints. Sacroiliitis is a feature of spondyloarthropathies, such as axial spondyloarthritis, psoriatic arthritis, reactive arthritis or arthritis related to inflammatory bowel diseases, including ulcerative colitis or Crohn's disease. It is also the most common presentation of arthritis from brucellosis. Brucellosis in humans is usually associated with consumption of unpasteurized milk and soft cheeses made from the milk of infected animals—primarily goats, infected with B. melitensis and with occupational exposure of laboratory workers, veterinarians, and slaughterhouse workers. Some vaccines used in livestock, most notably B. abortus strain 19, also cause disease in humans if accidentally injected. Brucellosis induces inconstant fevers, miscarriage, sweating, weakness, anaemia, headaches, depression, and muscular and bodily pain. The other strains, B. suis and B. canis, cause infection in pigs and dogs, respectively. Definite diagnosis of brucellosis requires the isolation of the organism from the blood, body fluids, or tissues, but serological methods may be the only tests available in many settings. Positive blood culture yield ranges between 40% and 70% and is less commonly positive for B. abortus than B. melitensis or B. suis. Identification of specific antibodies against bacterial lipopolysaccharide and other antigens can be detected by the standard agglutination test (SAT), rose Bengal, 2-mercaptoethanol (2-ME), antihuman globulin (Coombs’) and indirect enzyme-linked immunosorbent assay (ELISA). SAT is the most commonly used serology in endemic areas. An agglutination titre greater than 1:160 is considered significant in nonendemic areas and greater than 1:320 in endemic areas. Due to the similarity of the O polysaccharide of Brucella to that of various other Gram-negative bacteria (e.g. Francisella tularensis , Escherichia coli , Salmonella urbana , Yersinia enterocolitica , Vibrio cholerae , and Stenotrophomonas maltophilia ), the appearance of cross-reactions of class M immunoglobulins may occur. The inability to diagnose B. canis by SAT due to lack of cross-reaction is another drawback. False-negative SAT may be caused by the presence of blocking antibodies (the prozone phenomenon) in the α2-globulin (IgA) and in the α-globulin (IgG) fractions. Dipstick assays are new and promising, based on the binding of Brucella IgM antibodies, and are simple, accurate, and rapid. ELISA typically uses cytoplasmic proteins as antigens. It measures IgM, IgG, and IgA with better sensitivity and specificity than the SAT in most recent comparative studies. The commercial Brucellacapt test, a single-step immunocapture assay for the detection of total anti-Brucella antibodies, is an increasingly used adjunctive test when resources permit. PCR is fast and should be specific. Many varieties of PCR have been developed (e.g. nested PCR, realtime PCR, and PCR-ELISA) and found to have superior specificity and sensitivity in detecting both primary infection and relapse after treatment. Unfortunately, these are not standardized for routine use, and some centres have reported persistent PCR positivity after clinically successful treatment, fuelling the controversy about the existence of prolonged chronic brucellosis. Under the name "Malta fever", the disease now called brucellosis first came to the attention of British medical officers in the 1850s in Malta during the Crimean War. Jeffery Allen Marston (1831–1911) described his own case of the disease in 1861. The causal relationship between organism and disease was first established in 1887 by David Bruce. The agent that Bruce identified was classed as a coccus. In the late 1910s, American bacteriologist Alice C. Evans was studying the Bang bacillus and gradually realized that it was virtually indistinguishable from the Bruce coccus. The short-rod versus oblong-round morphologic borderline explained the leveling of the erstwhile bacillus/coccus distinction (that is, these "two" pathogens were not a coccus versus a bacillus but rather were one coccobacillus). The Bang bacillus was already known to be enzootic in American dairy cattle, which showed itself in the regularity with which herds experienced contagious abortion. 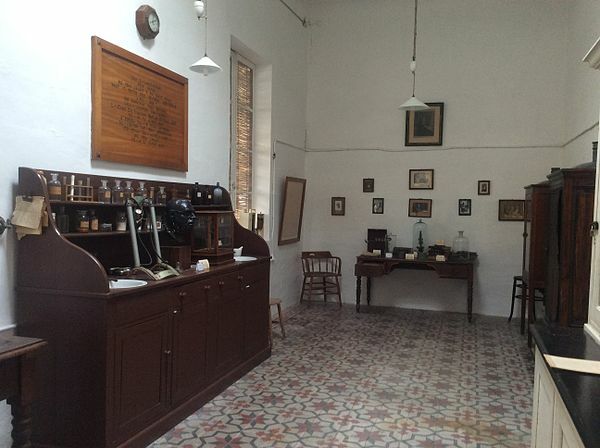 Having made the discovery that the bacteria were certainly nearly identical and perhaps totally so, Evans then wondered why Malta fever was not widely diagnosed or reported in the United States. She began to wonder whether many cases of vaguely defined febrile illnesses were in fact caused by the drinking of raw (unpasteurized) milk. During the 1920s, this hypothesis was vindicated. Such illnesses ranged from undiagnosed and untreated gastrointestinal upset to misdiagnosed  febrile and painful versions, some even fatal. This advance in bacteriological science sparked extensive changes in the American dairy industry to improve food safety. The changes included making pasteurization standard and greatly tightening the standards of cleanliness in milkhouses on dairy farms. The expense prompted delay and skepticism in the industry,  but the new hygienic rules eventually became the norm. Although these measures have sometimes struck people as overdone in the decades since, being unhygienic at milking time or in the milkhouse, or drinking raw milk, are not a safe alternative. B. abortus is the principal cause of brucellosis in cattle. The bacteria are shed from an infected animal at or around the time of calving or abortion. Once exposed, the likelihood of an animal becoming infected is variable, depending on age, pregnancy status, and other intrinsic factors of the animal, as well as the number of bacteria to which the animal was exposed. The most common clinical signs of cattle infected with B. abortus are high incidences of abortions, arthritic joints, and retained placenta. Hunters may be at additional risk for exposure to brucellosis due to increased contact with susceptible wildlife. Exposure can occur through contact with open wounds or by directly inhaling the bacteria while cleaning game. In some cases, consumption of undercooked game can result in exposure to the disease. Hunters can limit exposure while cleaning game through the use of precautionary barriers, including gloves and masks, and by washing tools rigorously after use. By ensuring that game is cooked thoroughly, hunters can protect themselves and others from ingesting the disease. Hunters should refer to local game officials and health departments to determine the risk of brucellosis exposure in their immediate area and to learn more about actions to reduce or avoid exposure. Warren Zevon's song "Play It All Night Long" (on Bad Luck Streak in Dancing School ) contains the line "the cattle all have brucellosis." Doxycycline is an antibiotic that is used in the treatment of infections caused by bacteria and certain other parasites. It is used to treat bacterial pneumonia, acne, chlamydia infections, early Lyme disease, cholera, and syphilis. It is also used to prevent malaria and in combination with quinine, to treat malaria. Doxycycline can be used either by mouth or by injection into a vein. Paratuberculosis is a contagious, chronic and sometimes fatal infection that primarily affects the small intestine of ruminants. It is caused by the bacterium Mycobacterium avium subspecies paratuberculosis. Infections normally affect ruminants, but have also been seen in a variety of nonruminant species, including rabbits, foxes, and birds. Horses, dogs, and nonhuman primates have been infected experimentally. Paratuberculosis is found worldwide, with some states in Australia being the only areas proven to be free of the disease. Major-General Sir David Bruce was a Scottish pathologist and microbiologist who investigated Malta fever and African trypanosomiasis. He discovered a protozoan parasite transmitted by insects, later named Trypanosoma brucei after him. Working in the Army Medical Service and the Royal Army Medical Corps, his major scientific collaborator was his microbiologist wife Mary Elizabeth Bruce, with whom he published more than thirty technical papers. 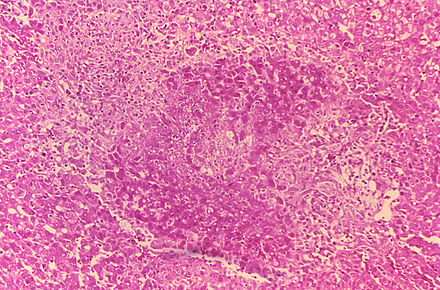 Bovine malignant catarrhal fever (BMCF) is a fatal lymphoproliferative disease caused by a group of ruminant gamma herpes viruses including Alcelaphine gammaherpesvirus 1 (AlHV-1) and Ovine gammaherpesvirus 2 (OvHV-2) These viruses cause unapparent infection in their reservoir hosts, but are usually fatal in cattle and other ungulates such as deer, antelope, and buffalo. In Southern Africa the disease is known as snotsiekte, from the Afrikaans. Brucella abortus is a Gram-negative proteobacterium in the family Brucellaceae and is one of the causative agents of brucellosis. The rod-shaped pathogen is classified under the domain Bacteria. The prokaryotic B. abortus is non-spore-forming, nonmotile and aerobic. Alice Catherine Evans was a pioneering American microbiologist. She became a researcher at the US Department of Agriculture. There she investigated bacteriology in milk and cheese. She later demonstrated that Bacillus abortus caused the disease Brucellosis in both cattle and humans. The Yellowstone Park bison herd in Yellowstone National Park is probably the oldest and largest public bison herd in the United States. Yellowstone is known for its geothermal activity and large mammals, especially elk, timber wolves, bison, bears, pronghorns, moose and bighorn sheep. The Yellowstone Park bison herd was estimated in 2015 to be 4,900 bison The bison in the Yellowstone Park bison herd are American bison of the Plains bison subspecies. Yellowstone National Park may be the only location in the United States where free-ranging bison were never extirpated, since they continued to exist in the wild and were not re-introduced, as has been done in most other bison herd areas. Other large free-ranging, publicly controlled herds of bison in the United States include the Tallgrass Prairie Preserve in Kansas, Wind Cave bison herd, the Antelope Island bison herd, the Henry Mountains bison herd in Utah, and the National Bison Range herd near Flathead Lake, Montana. Brucella ceti is a gram negative bacterial pathogen that causes brucellosis in cetaceans. Brucella ceti has been found in both classes of cetaceans, mysticetes and odontocetes. Brucella ceti was first isolated in 1994 when an aborted dolphin fetus was discovered. Only a small portion of those with Brucella ceti have overt clinical signs of brucellosis indicating that many have the bacteria and remain asymptomatic or overcome the pathogen. Serological surveys have shown that cetacean brucellosis may be distributed worldwide in the oceans. The likely transmission route for the bacterial pathogen is through mating or reproduction and lactation of a cetacean. Brucellosis in some dolphins and porpoises can result in serious clinical signs including fetal abortions, male infertility, neurobrucellosis, cardiopathies, bone and skin lesions strand events, and death. Brucella pinnipedialis is a species of bacteria. It causes infections and related diseases primarily in pinnipeds and cetaceans. ↑ "Brucellosis". American Heritage Dictionary. Archived from the original on 2011-06-06. ↑ "Maltese Fever". wrongdiagnosis.com. February 25, 2009. ↑ "Diagnosis and Management of Acute Brucellosis in Primary Care" (PDF). Brucella Subgroup of the Northern Ireland Regional Zoonoses Group. August 2004. Archived from the original (PDF) on 2007-10-13. ↑ Di Pierdomenico A, Borgia SM, Richardson D, Baqi M (2011). "Brucellosis in a returned traveller". CMAJ. 183 (10): E690–2. doi:10.1503/cmaj.091752. PMC 3134761 . PMID 21398234. ↑ "Brucellosis: Resources: Surveillance". CDC. ↑ Wyatt, Harold Vivian (October 2005). "How Themistocles Zammit found Malta Fever (brucellosis) to be transmitted by the milk of goats". Journal of the Royal Society of Medicine. University of Leeds, London: The Royal Society of Medicine Press. 98 (10): 451–454. doi:10.1258/jrsm.98.10.451. ISSN 0141-0768. OCLC 680110952. PMC 1240100 . PMID 16199812. ↑ Peck, Megan E.; Jenpanich, Chayanee; Amonsin, Alongkorn; Bunpapong, Napawan; Chanachai, Karoon; Somrongthong, Ratana; Alexander, Bruce H.; Bender, Jeff B. (2019-01-02). "Knowledge, Attitudes and Practices Associated with Brucellosis among Small-Scale Goat Farmers in Thailand". Journal of Agromedicine. 24 (1): 56–63. doi:10.1080/1059924X.2018.1538916. ISSN 1059-924X. PMID 30350754. ↑ Franco, María Pía; Mulder, Maximilian; Gilman, Robert H; Smits, Henk L (December 2007). 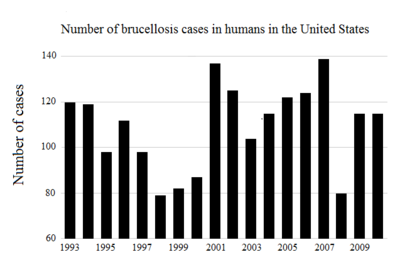 "Human brucellosis". The Lancet Infectious Diseases. 7 (12): 775–786. doi:10.1016/S1473-3099(07)70286-4. PMID 18045560. ↑ Al Dahouk, Sascha; Nöckler, Karsten (July 2011). "Implications of laboratory diagnosis on brucellosis therapy". Expert Review of Anti-infective Therapy. 9 (7): 833–845. doi:10.1586/eri.11.55. ↑ Mantur, B.; Parande, A.; Amarnath, S.; Patil, G.; Walvekar, R.; Desai, A.; Parande, M.; Shinde, R.; Chandrashekar, M.; Patil, S. (3 August 2010). "ELISA versus Conventional Methods of Diagnosing Endemic Brucellosis". American Journal of Tropical Medicine and Hygiene. 83 (2): 314–318. doi:10.4269/ajtmh.2010.09-0790. PMC 2911177 . ↑ Yu, Wei Ling; Nielsen, Klaus (August 2010). "Review of Detection of Brucella sp. by Polymerase Chain Reaction". Croatian Medical Journal. 51 (4): 306–313. doi:10.3325/cmj.2010.51.306. ↑ Vrioni, Georgia; Pappas, Georgios; Priavali, Efthalia; Gartzonika, Constantina; Levidiotou, Stamatina (15 June 2008). "An Eternal Microbe: DNA Load Persists for Years after Clinical Cure". Clinical Infectious Diseases. 46 (12): e131–e136. doi:10.1086/588482. PMID 18462106. ↑ Samartino, Luis E. (2002-12-20). "Brucellosis in Argentina". Veterinary Microbiology. 90 (1–4): 71–80. doi:10.1016/s0378-1135(02)00247-x. ISSN 0378-1135. PMID 12414136. ↑ "SENASA – Direcci n Nacional de Sanidad Animal". viejaweb.senasa.gov.ar. Retrieved 2016-02-10. ↑ "Queensland Health: Brucellosis". State of Queensland (Queensland Health). 2010-11-24. Archived from the original on 2011-04-22. Retrieved 2011-06-06. ↑ "Reportable Diseases". Accredited Veterinarian’s Manual. Canadian Food Inspection Agency. Retrieved 2007-03-18. ↑ Rizzo Naudi, John (2005). Brucellosis, The Malta Experience. Malta: Publishers Enterprises group (PEG) Ltd. ISBN 978-99909-0-425-3. 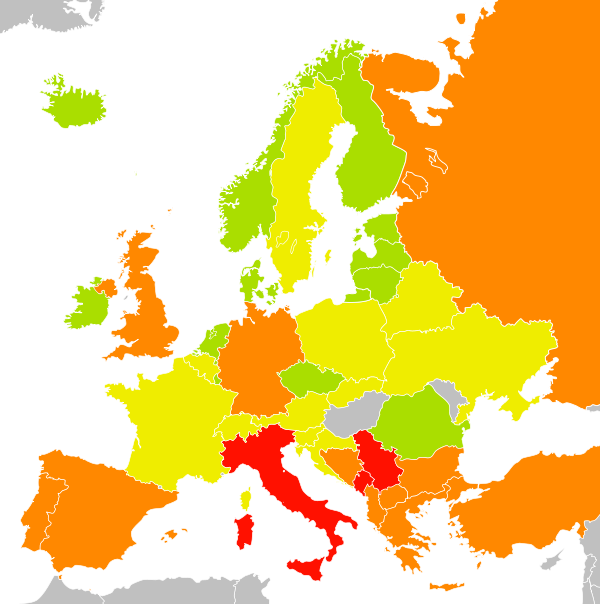 1 2 3 "Ireland free of brucellosis". RTÉ. 2009-07-01. Retrieved 2009-07-01. 1 2 3 4 "Ireland declared free of brucellosis". The Irish Times . 2009-07-01. Retrieved 2009-07-01. Michael F Sexton, president of Veterinary Ireland, which represents vets in practice, said: "Many vets and farmers in particular suffered significantly with brucellosis in past decades and it is greatly welcomed by the veterinary profession that this debilitating disease is no longer the hazard that it once was." ↑ "MAF Biosecurity New Zealand: Brucellosis". Ministry of Agriculture and Forestry of New Zealand. Retrieved 2011-06-06. ↑ Brucellosis Eradication APHIS 91–45–013. United States Department of Agriculture. October 2003. p. 14. ↑ Hamilton AV, Hardy AV (March 1950). "The brucella ring test; its potential value in the control of brucellosis" (PDF). Am J Public Health Nations Health. 40 (3): 321–323. doi:10.2105/AJPH.40.3.321. PMC 1528431 . PMID 15405523. ↑ Vermont Beef Producers. "How important is calfhood vaccination?" (PDF). Archived from the original (PDF) on 2008-05-09. ↑ Hasanjani R, Mohraz M, Hajiahmadi M, Ramzani A, Valayati AA (April 2006). "Efficacy of gentamicin plus doxycycline versus streptomycin plus doxycycline in the treatment of brucellosis in humans". Clin. Infect. Dis. 42 (8): 1075–1080. doi:10.1086/501359. PMID 16575723. ↑ McLean DR, Russell N, Khan MY (October 1992). "Neurobrucellosis: clinical and therapeutic features". Clin. Infect. Dis. 15 (4): 582–90. doi:10.1093/clind/15.4.582. PMID 1420670. ↑ Yagupsky, Pablo; Baron, Ellen Jo (August 2005). "Laboratory Exposures to Brucellae and Implications for Bioterrorism". Emerging Infectious Diseases. 11 (8): 1180–1185. doi:10.3201/eid1108.041197. PMC 3320509 . PMID 16102304. ↑ Centers for Disease Control and Prevention, (CDC) (18 January 2008). "Laboratory-acquired brucellosis—Indiana and Minnesota, 2006". MMWR. Morbidity and Mortality Weekly Report. 57 (2): 39–42. PMID 18199967. ↑ Lowe, Christopher F.; Showler, Adrienne J.; Perera, Suzette; McIntyre, Susan; Qureshi, Roohi; Patel, Samir N.; Allen, Vanessa; Devlin, H. Roslyn; Muller, Matthew P. (January 2015). "Hospital-Associated Transmission of outside the Laboratory1". Emerging Infectious Diseases. 21 (1): 150–152. doi:10.3201/eid2101.141247. PMC 4285263 . PMID 25531198. ↑ Wilkinson, Lise (1993). "Brucellosis". In Kiple, Kenneth F. (ed.). The Cambridge World History of Human Disease. Cambridge University Press. ↑ Brucellosis named after Major-General Sir David Bruce at Who Named It? 1 2 3 4 5 6 7 de Kruif, Paul (1932). "Ch. 5 Evans: death in milk". Men Against Death. New York: Harcourt, Brace. OCLC 11210642. ↑ Wyatt, Harold Vivian (31 July 2004). "Give A Disease A Bad Name". British Medical Journal. BMJ Publishing Group Ltd. 329 (7460): 272–278. doi:10.1136/bmj.329.7460.272. ISSN 0959-535X. JSTOR 25468794. OCLC 198096808. PMC 498028 . ↑ Malhotra, Ravi (2004). "Saudi Arabia". Practical Neurology. 4 (3): 184–185. doi:10.1111/j.1474-7766.2004.03-225.x. ↑ Al-Sous MW, Bohlega S, Al-Kawi MZ, Alwatban J, McLean DR (March 2004). "Neurobrucellosis: clinical and neuroimaging correlation". AJNR Am J Neuroradiol. 25 (3): 395–401. PMID 15037461. ↑ Wyatt, H. V. (2004-07-29). "Give a disease a bad name". BMJ. 329 (7460): 272. doi:10.1136/bmj.329.7460.272. ISSN 0959-8138. ↑ "Medicine: Goat Fever". Time. 1928-12-10. ISSN 0040-781X . Retrieved 2017-05-01. ↑ Ettinger, Stephen J; Feldman, Edward C. (1995). Textbook of Veterinary Internal Medicine (4th ed.). W.B. Saunders Company. ISBN 978-0-7216-4679-4. ↑ Guzmán-Verri, C; González-Barrientos, R; Hernández-Mora, G; Morales, J. A.; Baquero-Calvo, E; Chaves-Olarte, E; Moreno, E (2012). "Brucella ceti and brucellosis in cetaceans". Frontiers in Cellular and Infection Microbiology. 2: 3. doi:10.3389/fcimb.2012.00003. PMC 3417395 . PMID 22919595. 1 2 3 "Brucellosis". www.fws.gov. U.S. Fish &Wildlife Service. 2016. Retrieved 2016-10-03. ↑ Godfroid, J (2002). "Brucellosis in wildlife" (PDF). Revue Scientifique et Technique (International Office of Epizootics). 21 (2): 277–286. doi:10.20506/rst.21.2.1333. 1 2 3 Godfroid, J.; Garin-Bastuji, B.; Saegerman, C.; Blasco, J.M. (2013). "Brucellosis in terrestrial wildlife" (PDF). Revue Scientifique et Technique (International Office of Epizootics). 32 (1): 27–42. CiteSeerX 10.1.1.1020.9652 . doi:10.20506/rst.32.1.2180. ↑ Ranglack DH, Dobson LK, du Toit JT, Derr J (December 17, 2015). "Genetic Analysis of the Henry Mountains Bison Herd". PLoS ONE. 10 (12): e0144239. doi:10.1371/journal.pone.0144239. PMC 4682953 . PMID 26673758. 1 2 3 "CDC – Home – Brucellosis". www.cdc.gov. Center for Disease Control. 2016. Retrieved 2016-10-03. ↑ "Zoonoses – Brucellosis". www.who.int/en/. World Health Organization. 2016. Retrieved 2016-10-03.